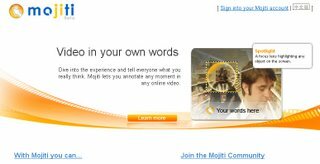 Mojiti is a Chinese website that allows you add text onto some popular videos from some online sharing video sites, such as Youtube, Google Video, Metacafe and so on. You can create your text video, and anyone can add text onto that video. I think it will be fun. Mojiti has Chinese and English version.